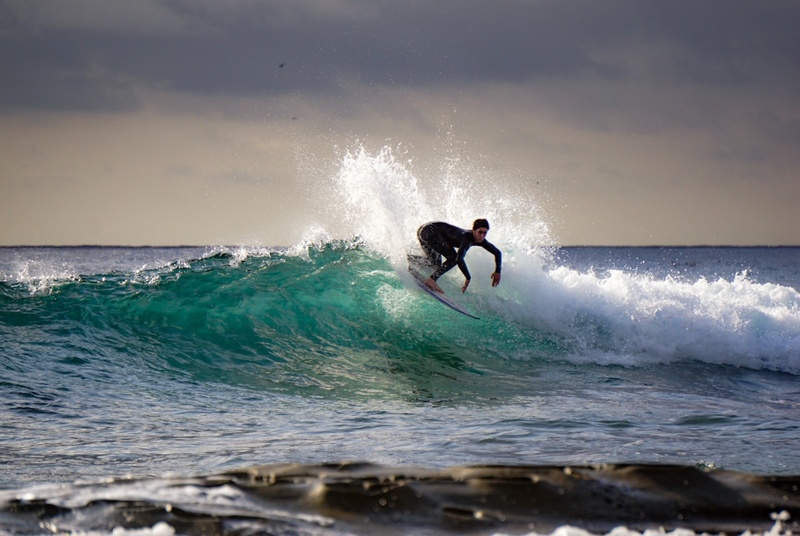 The Sigma 150-600mm contemporary lens is one of the best options for shooting long telephoto images of surfers from the beach with a Sony e mount camera. A couple of months ago I bought a Sigma 150-600mm and I’ve used it at every opportunity I’ve had since then to shoot surfing from the beach. Here’s my video review of the Sigma 150-600mm lens and my observations and recommendations on shooting from the beach using the Sony a6000. In order to use this lens on a Sony a6000 or any other Sony e-mount camera body you need an adapter. Sigma produce their own adapter, the Sigma Mount Converter MC-11 which is designed to work with a select few Sigma branded Canon EF lenses. The Sigma 150-600mm Contemporary is one of those lenses. There is another version which converts Sigma’s own mount lenses to Sony e-mount, so avoid that one if you’ve gone for the Canon EF mount lens. The Canon version is the most readily available and I figure it has the best chance of keeping a reasonable resale value when I decide to sell it on. I also bought the optional Sigma USB lens dock, it’s not strictly necessary to have this in order to use the lens, but you need it to update the firmware on Sigma lenses including the Sigma 150-600mm. I’ve updated my firmware twice on my lens in the last few weeks, so I’d say it’s definitely worth getting the dock if you’re getting this lens. The adapter is supplied with a USB cable – it’s a proprietary connector at the adapter end which is annoying. I wish they’d used a standard micro USB or USB-C port so I didn’t have to have the original cable to connect it to my PC. You will need a laptop or desktop running Windows, Linux or Mac OS in order to use the Sigma software. I wish there was an online, or even Android version so I could use my chromebook or phone to do the updates or tweak settings. It has a giant front element, the filter size is 95mm, so a decent UV filter, which many people use to protect their lenses, is about $80 US. I decided I would just use the lens hood whenever I shot with this lens and be careful. I don’t use filters on any of my lenses, but I’ve never had a lens this expensive before either. It’s big and heavy. Not massive, but definitely pretty big. I was expecting to have to use it on a tripod all the time after carrying it around when I first got it out of the box. The build quality is great, everything rotates smoothly and feels nice. The switches on the side are easy to use and feel solid too. There wasn’t anything counter intuitive that I had to look up. Having had a Canon 70-200mm f4 L lens before I was familiar with the focus switches and I’d already read about the stabilisation so I knew there were the options to switch it off and two modes that can be chosen. One switch is for custom modes, I knew about these too and it was one of the reasons I bought the USB dock separately, so I could set up these custom modes exactly as I wished to get the best out of the lens. So far so good, it attached to my a6000 via the MC-11, it autofocused, the stabilisation worked and my test shots were fine. It was just a bit big. I haven’t got a great deal of experience in super telephoto lenses to compare it to, but I was impressed with the performance, especially since updating the firmware to the latest version on the adapter and lens. I took it down to the British championships at Perranporth the week I bought it, and it turned out to be a pretty good learning experience. I tried out a few different modes, starting with my go-to option for getting shots quickly – shutter priority. Set up at 1/1000 it wanted to shoot wide open and that was fine, but I wanted to stop down a little bit to get the best chance of getting the sharpest photos. I ended up shooting in manual mode with a shutter speed of 1/1000, an aperture of f8 and auto ISO. It worked well, got me some decent close up shots, I even managed to Instagram one during a heat thanks to the built in WiFi on the Sony a6000 and some light editing on my phone. The only minor issue was the very occasional loss of focus tracking, every now and then it would hunt for focus and go way off and I’d end up with a totally useless couple of frames and sometimes miss a turn as it re-focused. I’m happy to say this issue hasn’t popped up again since I updated the firmware to the most recent version. 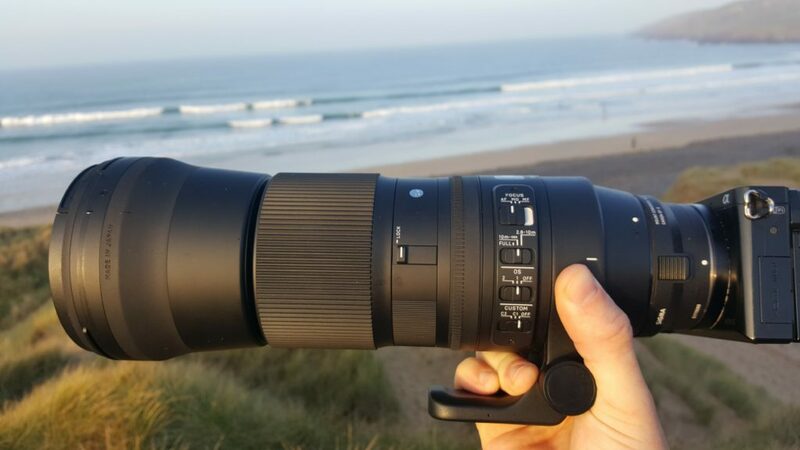 Should you buy the Sigma 150-600mm for surf photography? If you need the 500mm+ reach and you don’t move around a lot when you’re taking photos, then yes. It’s the best option available for Sony a6000 users who need 600mm. 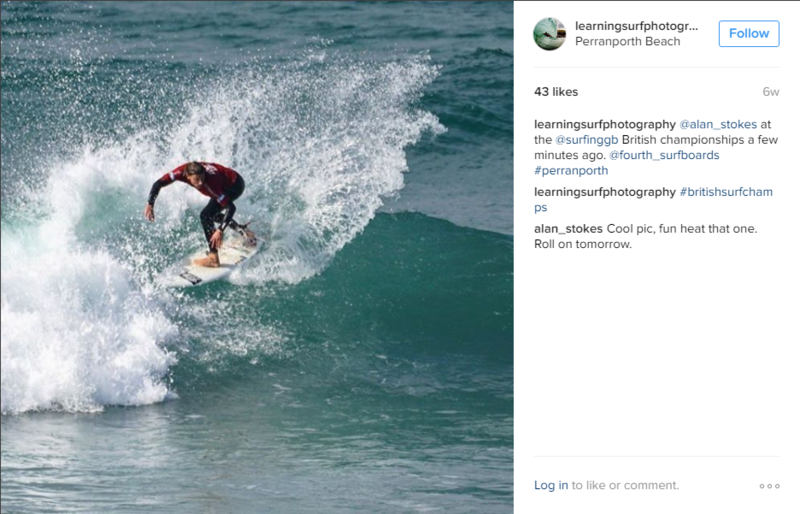 I’d say if you’re covering competitions or you need to take photos of surf lessons or something like that, then this is a great option. If you like to move around, don’t find yourself needing that kind of reach very often, but still want to shoot telephoto surf photos on the Sony a6000, then I recommend going for the Sony 55-210mm + Olympus TCON-17x combo. 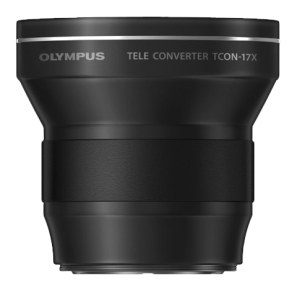 You need a cheap 49-55mm step up ring to attach the TCON 17x to the 55-210mm lens. There are lots of other options which I covered in detail in my post about telephoto lenses on the a6xxx series cameras, so make sure you check that out if you’re wondering which one might be best for you. Here are the sample photos that I showed in the video, they’re relatively low resolution as they’re only for the web, but trust me, they look great when printed out at a4 or zoomed in on your computer too. 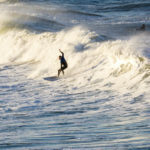 If you use an alternative telephoto lens for surf photography with your Sony e-mount camera I’d love to hear about it. 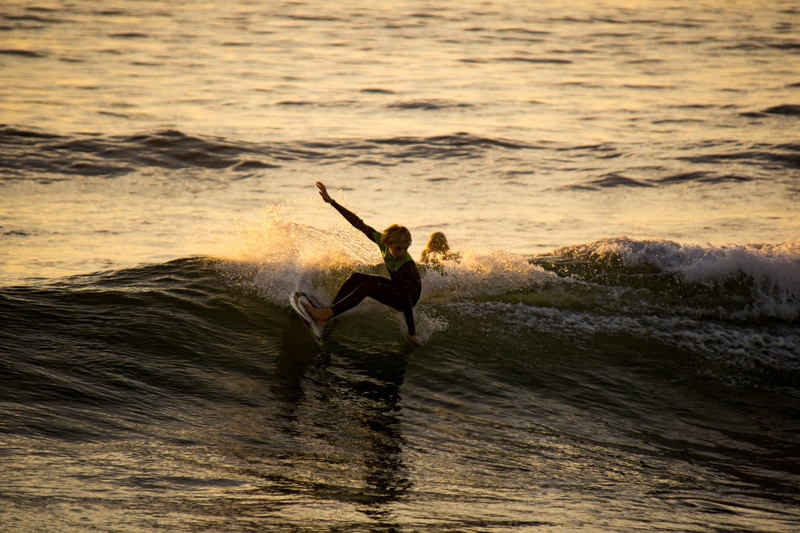 Leave a comment below or send me an email at ben@learningsurfphotography.com. Thanks for sharing those shots and your experience Jason. Glad you’re getting the same great results I have been from the TCON 17x, I was happily surprised when I looked at the photos in details. Great light in that last shot, hoping to get some good days like that over the holidays in the UK. Hi, great post, hugely informative, I have been looking for the best telezoom for use with my a6300 to shoot wild life, I have initially my eyes on the Sony 70-300mm, but always wondered what else was out there, now I am thinking I am going to go the route of the 600mm Sigma, and get that zoom I’ve been looking for! Question I have is, I see this post is nearly a year old, I am wondering had you come accross anything better again than the above solution since you wrote it? Thanks! 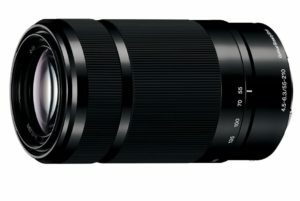 There’s the Sony 100-400mm now, which will be the lens of choice for professional sports shooters I expect, but you pay a big premium for the highest quality lenses. I haven’t used anything else myself that would work better, but I have been using the a6500 for shooting on the land for a few weeks and it has a couple of advantages over the a6000 with the same lenses.